We offer a free video library, discount beach passes, menus, maps & Ice. 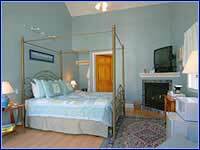 The inn offers 14 quality rooms. Some cozy and others spacious. 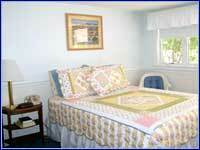 All units include queen beds, private bath, A.C., cable TV, remote controls and telephones with free local calling. Our kitchenettes are equipped with a cooktop stove, refrigerator, microwave, coffeemaker, and sink. Three units are also equipped with a toaster and electric can opener. These suites are equipped with 100 gallon jacuzzis, queen bed, wetbar, refrigerator, coffeemaker (coffee complimentary) and a vcr. Our newest suite features cathedral ceiling, hardwood floor, and a fireplace. Wingaersheek Beach, for which the motel is named, is one of the nicest swimming beaches in New England, and is an easy 5 minute drive. 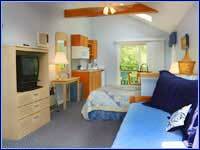 We are the closest motel to Wingaersheek Beach. The Wingaersheek Inn & Motel, located at the gateway to Cape Ann (Exit #13 off Rte 128) in Gloucester, is less than 10 minutes from Gloucester Harbor with its Main Street shops and wonderful restaurants.